Alberta is known for its stunning mountainscapes and pristine lakes. Tourists come from all over the world to visit places like Banff National Park, Lake Louise and Jasper National Park. These spots are gorgeous, picturesque, and popular. But they’re not the only spots in the province where you can experience the beauty and adventure in the Canadian Rockies! Today I’m writing about an alternative to your Banffs and Jaspers—picturesque Grande Cache, Alberta. Grande Cache is a mountain town located about 4.5 hours north west of Edmonton, and this summer, I was invited up to explore the area by Grande Cache Tourism. They’re working to diversify their economy, and part of that plan included bringing up a blogger to experience and share what the area has to offer for tourists. Happy to say—there’s lots to do in Grande Cache! Keep on readin’ for what I got up to during my weekend trip to this lovely little spot, surrounded by mountains, lakes, and a ton of wilderness. Grande Cache, Alberta sits on a mountain plateau, at an elevation of 4,200 feet, with views of 21 mountain peaks and 2 river valleys. 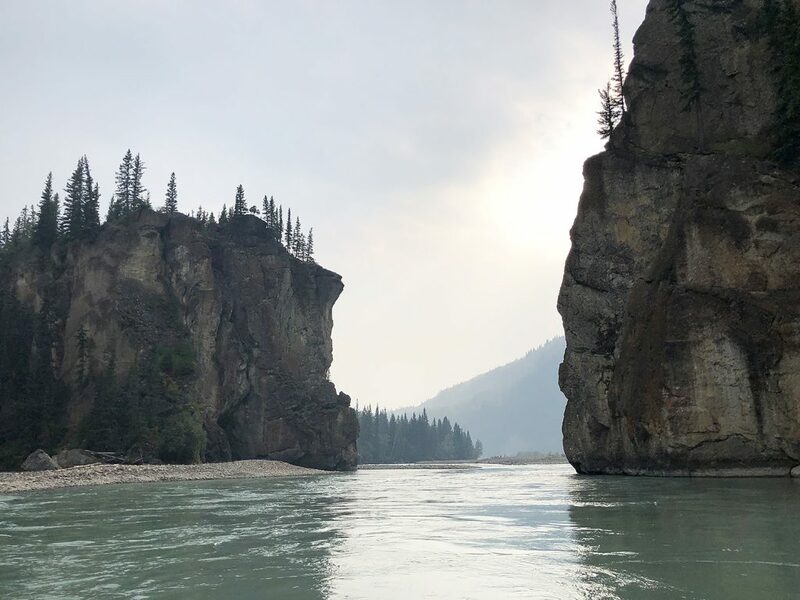 It’s adjacent to Willmore Wilderness Park, an unspoiled region featuring ancient glaciers, high mountain peaks, thick forests and raging rivers, offering a “true backcountry experience” with over 750 km of trails. 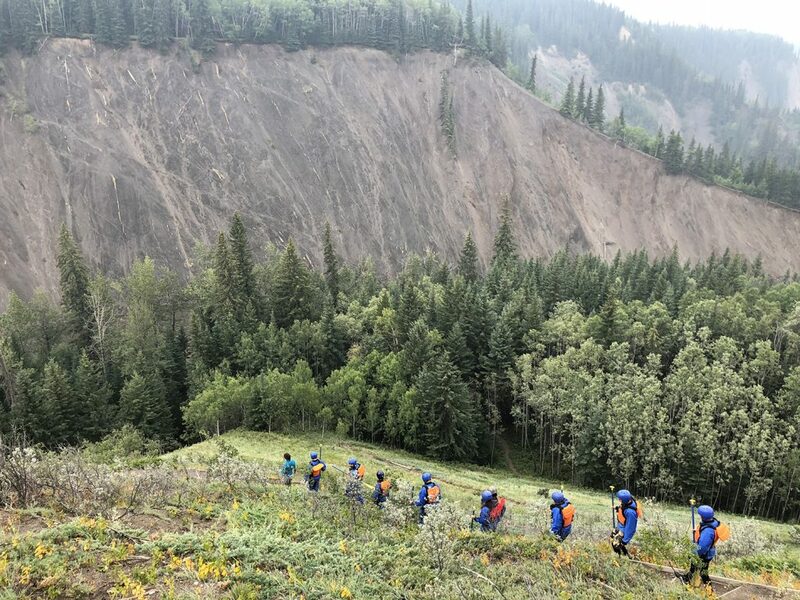 The area is well-known for being home to the Canadian Death Race, and I’d say a lot of the activities you’ll end up doing in Grande Cache will be outdoor adventure-focused. One of a few look-outs at the Sulphur Gates in Grande Cache. Many visitors to Grande Cache are quick to hit the hiking trails. Grande Cache has a “Passport to the Peaks” program which encourages you to hike all 21 of the area’s mountain peaks! They’ve divided the mountains into three levels (from easy to most difficult/extreme), so there’s definitely some easier trails the more casual adventurer can do (like me!) during a few hours of the day, but also more intense ones for avid hikers looking to challenge themselves. Sulphur Gate — where Smoky and Sulphur Rivers meet in Grande Cache, Alberta. My friend Catherine has ridden up to Grande Mountain on an ATV, and marvelled at the views up there. Meanwhile during my tourism trip, my friend Sharman and I did a really quick and easy hike to the popular Sulphur Gates, a cliff-edged confluence of the area’s two rivers (Smoky and Sulphur). Something I wanted to do but didn’t have time for was to visit some of the waterfalls nearby too! There are three nearby. 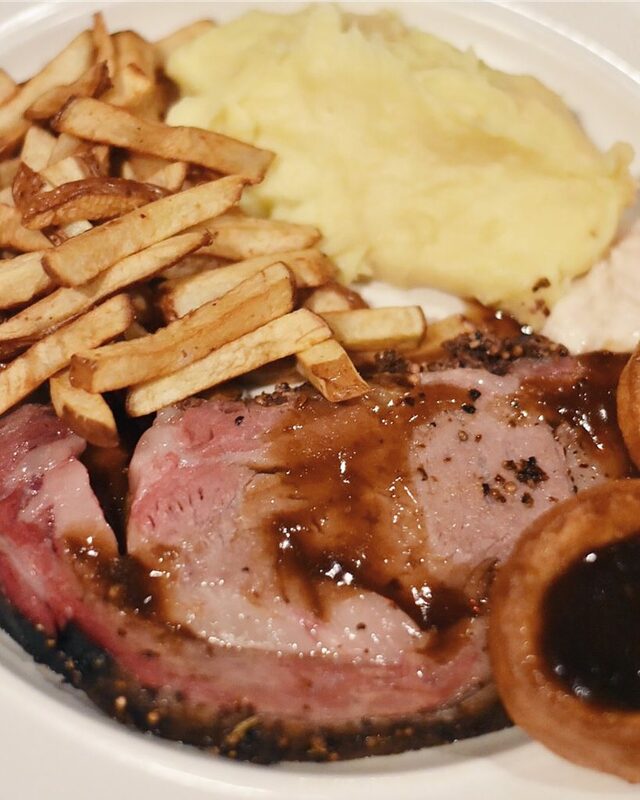 Did you know: Grande Cache is home to the best prime rib in Alberta? Eating our way through Grande Cache was an important part of our tourism trip, and one of the food highlights for sure was trying the “famous prime rib” from Grande Cache’s High Country Steak & Ale Restaurant! 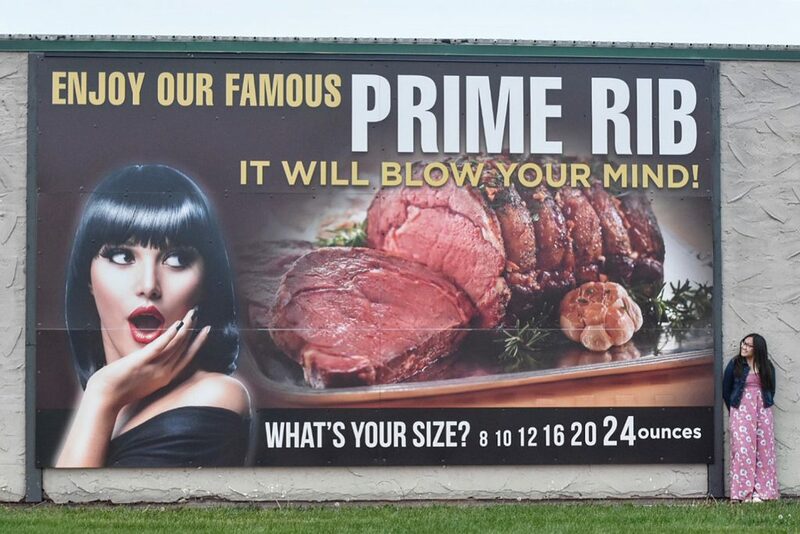 Here, you can order prime rib in a few sizes, the smallest being 8 oz. and the largest being 24 oz (wow!!) I tried the smallest and couldn’t even begin to imagine how large 24 oz would have been. The prime rib here is AAA black angus beef, specially aged for 28 days (for extra flavour and tenderness), rubbed with their unique blend of spices, and slow roasted. The (gigantic) 8oz prime rib at High Country Steak & Ale in Grande Cache, Alberta. The prime rib in Grande Cache is delicious! And comes topped with yorkshire pudding and au jus, and your choice of two sides. It’s a must-eat in Grande Cache. 3. Go White Water Rafting! We hit the Smoky and Sulphur River on our Grande Cache adventure. 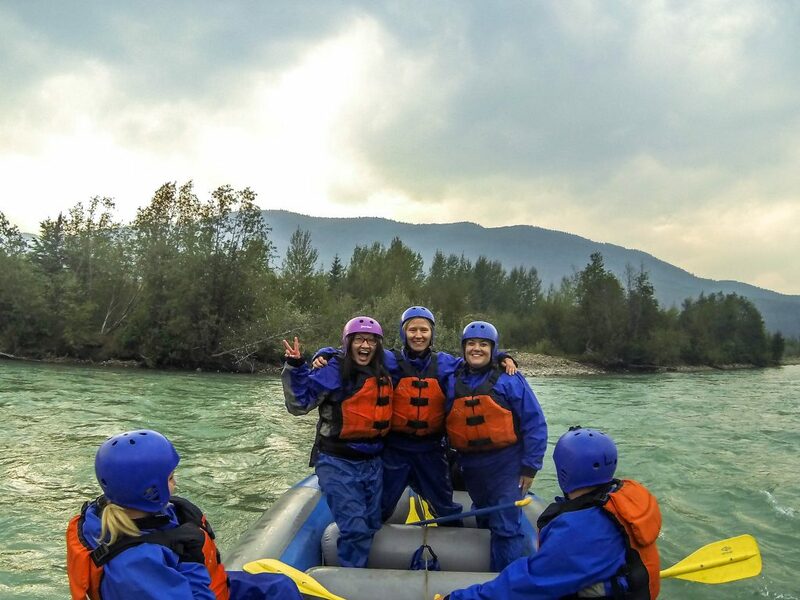 Along with hiking, another popular tourist activity in the area is white water rafting! 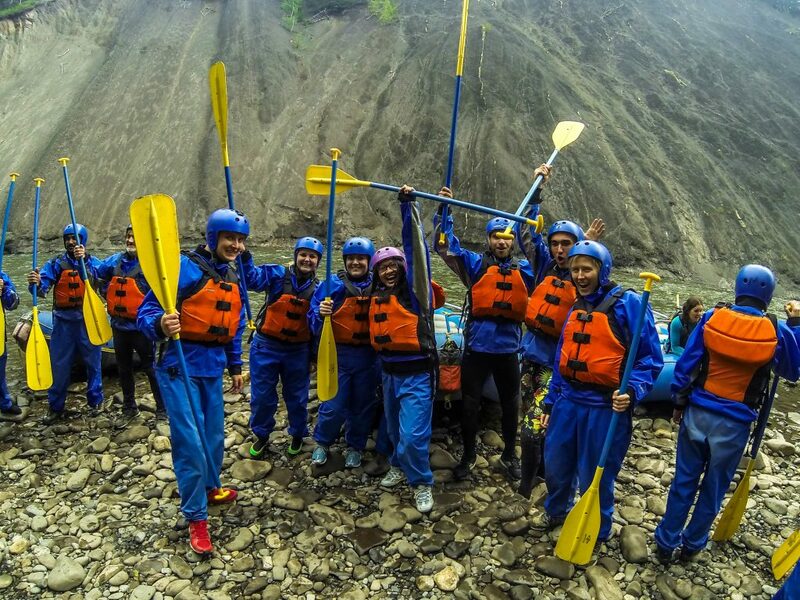 Our group went rafting down the Sulphur River with Wild Blue Yonder Rafting Adventure Company. 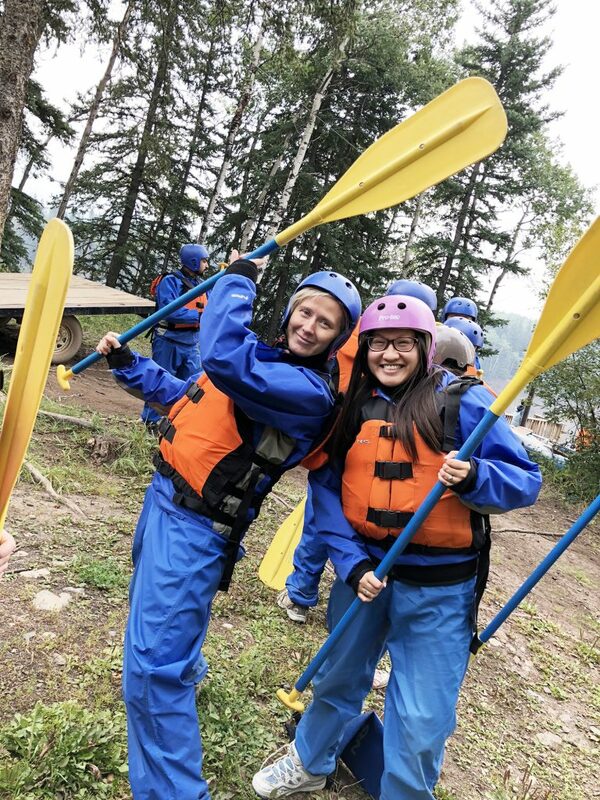 The run we did is a relatively beginner experience, with mostly moderate rapids, and when we went, the water level was pretty low, so we didn’t get too many rapids, but it always depends on the day/time of year of course, and even with slower rapids, it’s still quite the ride! Thanks to Wild Blue Yonder White Water Rafting for the fun! Wild Blue Yonder White Water Rafting also offers longer and more challenging adventures, including overnight rafting experiences too. Just a trek through the Shire—I mean Grande Cache, Alberta! What was really interesting about this experience was how you get down to the water in the first place. Because Grande Cache is at such a high elevation, you need to walk down a fairly steep hill to get to the river. The company basically ziplines its rafts down each time it does an adventure, while you walk down in what feels a lot like a scenic Lord of the Rings valley. It’s really neat—but, people who are scared of heights, beware! Hanging out where Sulphur and Smoky Rivers meet! Our Wild Blue Yonder White Water Rafting crew! Thanks for the great adventure, Wild Blue Yonder! 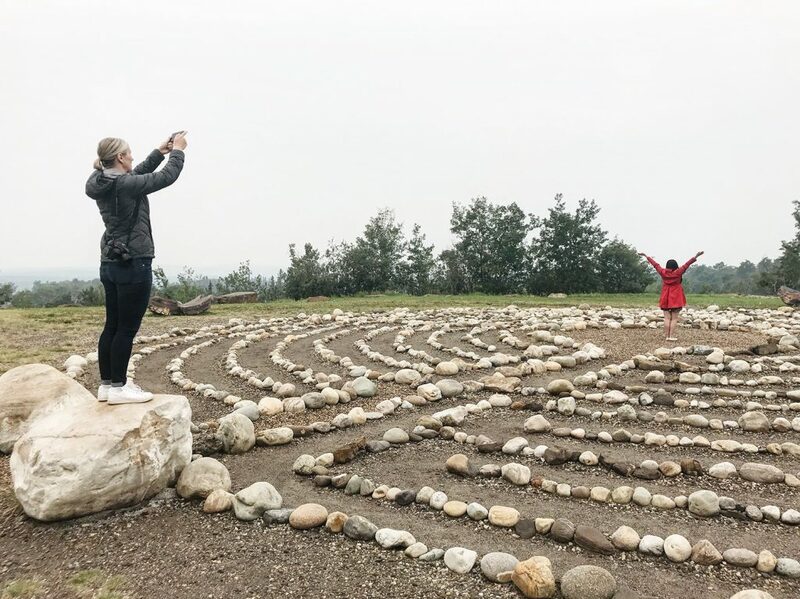 The peaceful Labyrinth Meditation Park in Grande Cache, Alberta. Grande Cache is home to a walking meditation park called the Labyrinth. At first look, the Labyrinth looks like a maze made up of different sizes rocks, but it’s not a maze. As the park puts it, mazes are designed to make you lose your way, where the labyrinth is designed to help you find your way. It was a really peaceful place, and a nice spot to take a moment (amidst all of your Grande Cache adventuring!) The sky was smokey when we went, but normally you get a really stunning view of the mountains from the Labyrinth as well. 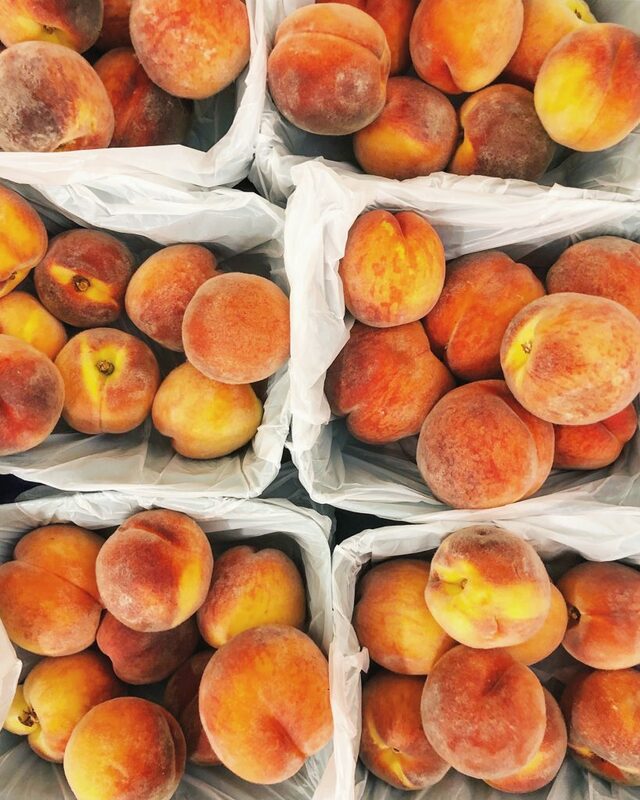 Peaches at the Grande Cache Farmer’s Market! In between our outdoor adventures, Sharman and I stopped at the indoor Grande Cache Farmer’s Market and Thrift Shop. Both of these activities are only open on selected dates, so be sure to do your research before you go, in case it’s not open on your weekend visit. 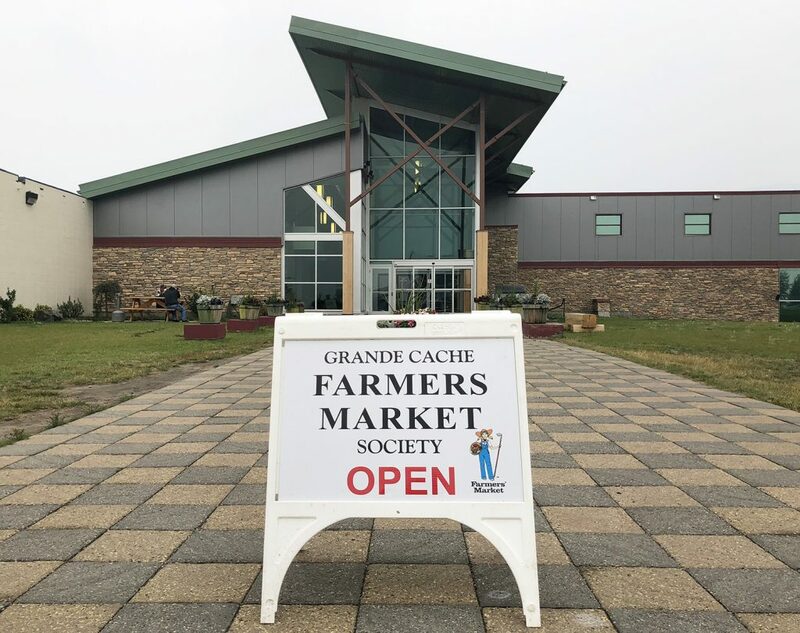 The Grande Cache Farmer’s Market takes place in their Recreation Centre, while the Thrift Shop is in the basement of the Grande Cache United Church. There are are some great finds at both places! The Grande Cache Farmer’s Market is inside their state-of-the-art Recreation Centre! And while you’re at the Recreation Centre you can grab some ice cream and snacks at The Canteen, or hop in the hot tub / pool! It’s also home to a hockey arena and curling rink and is right by a park. Delicious, authentic sushi and sashimi at Aurora Sushi in Grande Cache! The surprise food hit of the weekend was our sushi at Aurora Sushi located in the Alpine Motor Inn on the main road through the town. One TripAdvisor review I came across before selecting the restaurant really encapsulates my thinking on the food we had: “Unusually good sushi” lol. 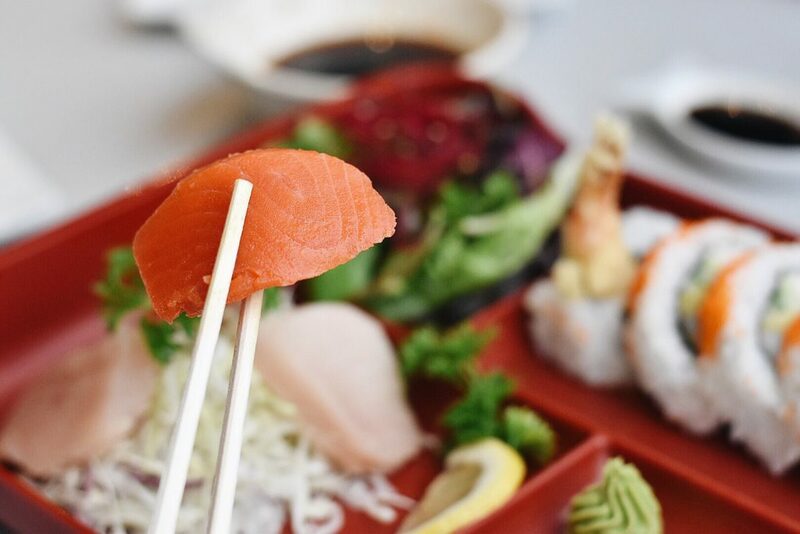 Just generally, you might not be expecting too much from a small town sushi restaurant—or even expect a small town to have sushi restaurant at all! But Aurora Sushi is quite legit and delicious, and I could not recommend it enough. 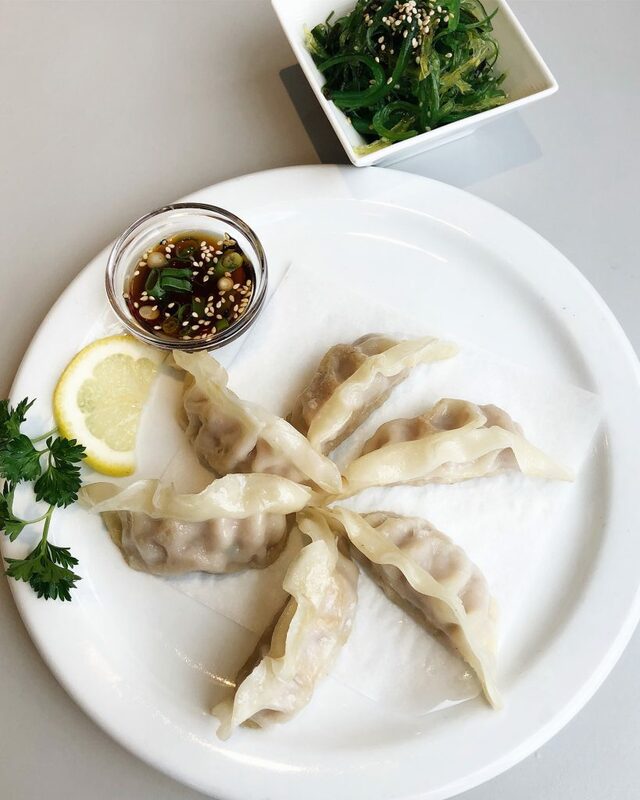 Solid gyoza and seaweed salad at Aurora Sushi in Grande Cache. The interior decor and the food at Aurora Sushi is all quite authentic. Order the sashimi bento box, gyoza, seaweed, and share some of their rolls. Breakfast poutine from The Ridge in Grande Cache. Something we noticed about Grande Cache food: they are generous with their portion sizes! That’s always a plus, but the quality/taste of the food here was also solid, particularly for small town eats. Beach day at Grande Cache Lake! I’ve always been jealous of places with a beach. There’s just something about sitting in the sand, soaking up the sun, jumping in the water for a quick splash, or just floating in a boat, especially if you can experience it just minutes from home. In and around the Grande Cache area is Pierre Grey’s Lakes, Victor Lake, Grande Cache Lake, and Peavine Lake. Why is Grande Cache called Grande Cache? Because of these structures! We learned a lot about Grande Cache’s history during our visit. There’s a great Grande Cache Tourism & Interpretive Centre that includes both indoor and outdoor exhibits! My friend Sharman and I went with the outdoor exhibit first (stopping to take photos with the Grande Cache sign, obviously). 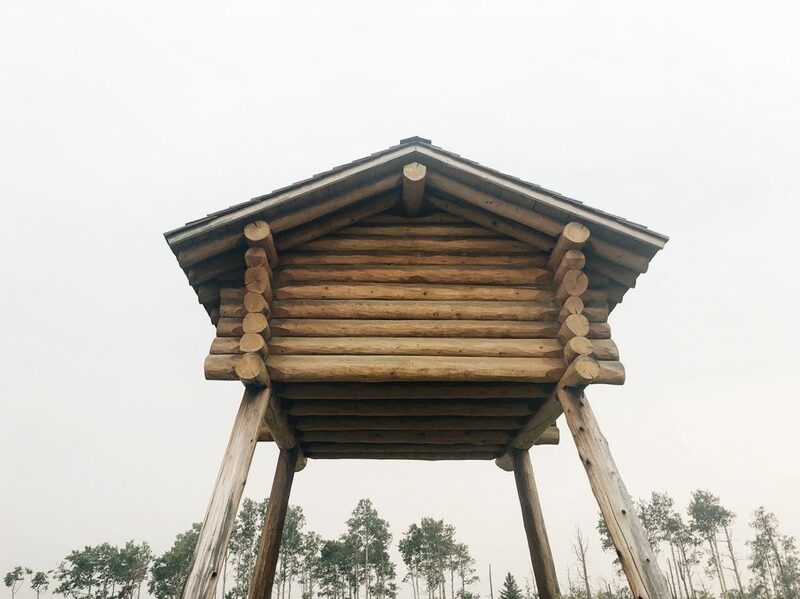 Here you’ll see a lot of imagery of a log cabin-like structure on stilts in the Grande Cache area. We learned that these are called caches and was used primarily to store furs in winter, but also other supplies, and sometimes a person could stand in it too. They were propped up tall to keep out wolverines and bears, who might try to get at the supplies inside. Neat hey? Dugout canoes were once used on the Smoky River in the early 1900s. We also learned about The Wickiup, “Tipi for the Mountains” which played a major role for the people in the Rockies (and even thousands of years before then), and we learned about the Dug Out Canoe, which was used by the local Indigenous community on the Smoky River in the early 1900s. That was all displayed outside the Tourism & Interpretive Centre. Inside, they have a whiteboard with suggestions on different activities you can do in the town (many of which I mention in this post), and different areas about Grande Cache’s history over the years, including features about Indigenous and Metis locals who played big roles in the shaping of the area. There is also a section all about the Grande Cache region’s dinosaur history (the town would love to build out its dino-tourism—turns out there are some pretty cool dino tracks in the area, though they’re currently a bit tough to get to for a typical visitor). 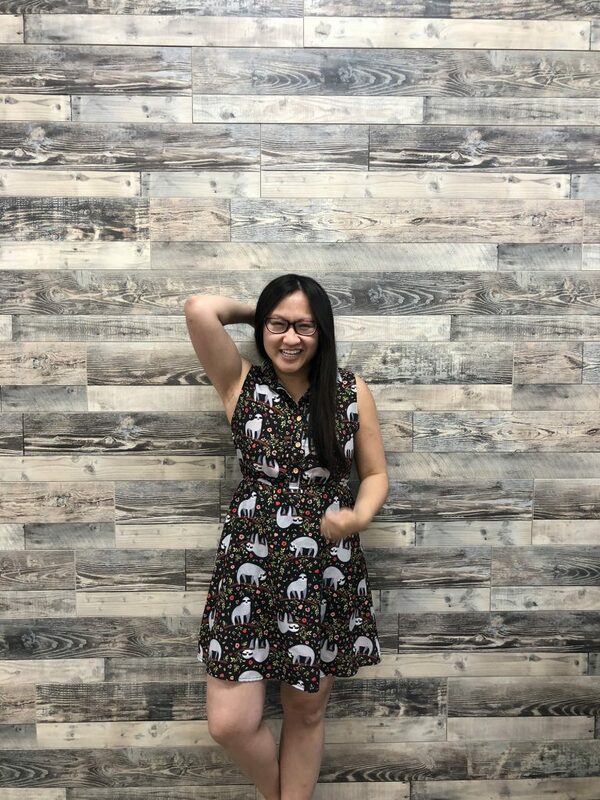 There’s some nice Instagrammable Walls in Grande Cache! 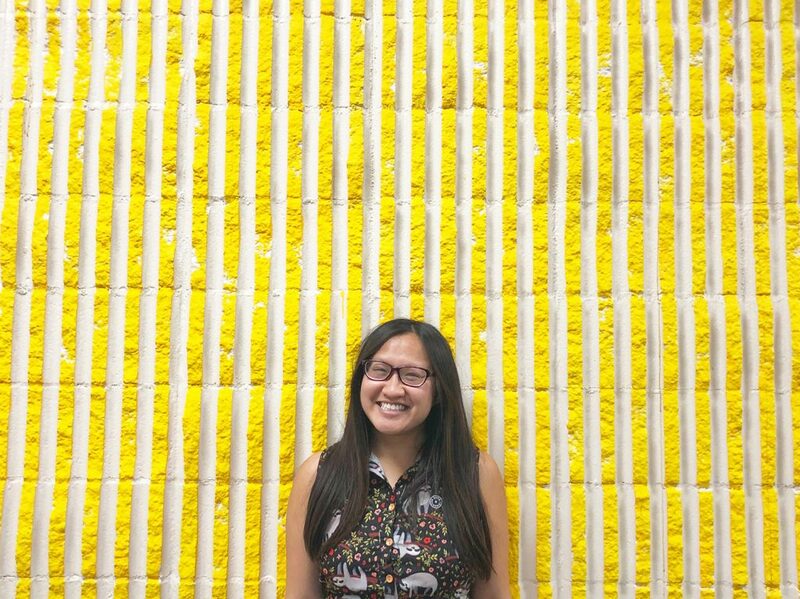 What’s a travel post from me without a section on Instagrammable Walls? There are definitely more natural Instagrammable Walls in the Grande Cache area, like the mountains lol. But I was actually delighted to find a few colourful walls inside Shopper Park Mall, along with some mountain murals in a few different restaurants we visited. I love this Instagrammable Wall in Grande Cache! There’s not a place you can visit where they won’t offer some kind of nice backdrop for your photos, Grande Cache included! Go horse back riding with this beautiful mountain backdrop! 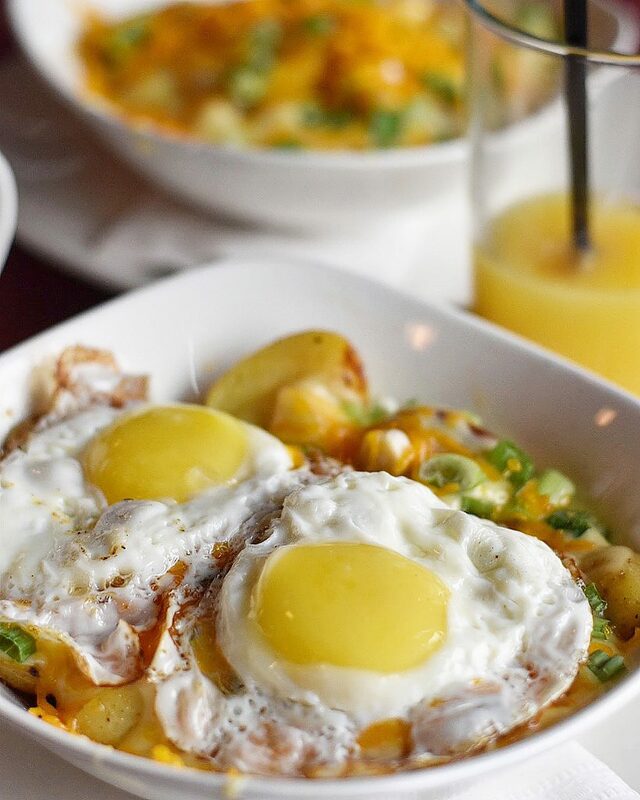 Photo Credit: U Bar Ranch. Okay, so horseback riding was on our itinerary for the weekend but it was raining too hard so it got cancelled. Regardless, I wanted to mention horseback riding because I think it’s really cool you can hit the trails on a horse! Our riding was scheduled with U Bar Ranch. 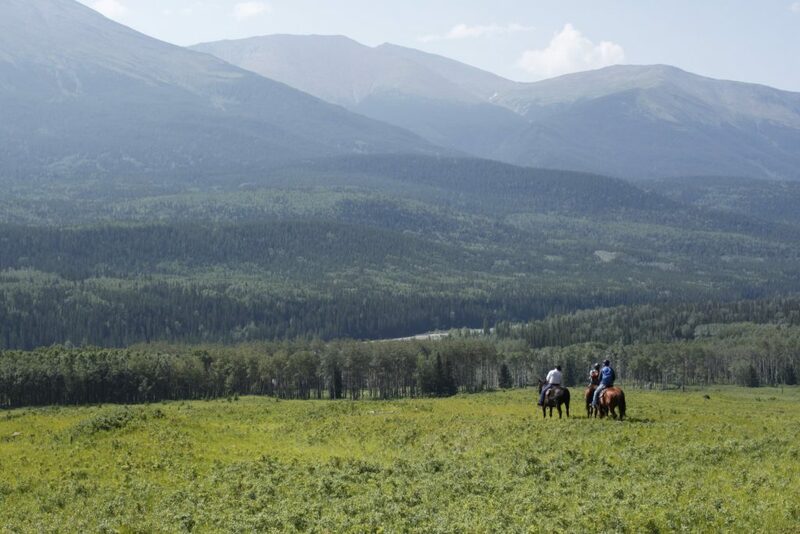 When I talk about how this area is picturesque, I’m thinking about this horseback riding photo—with the gigantic mountain in the backdrop. Simply. Stunning! These historic trails go back 225 years, and to travel by horseback is still very common in the area! So there you have it! 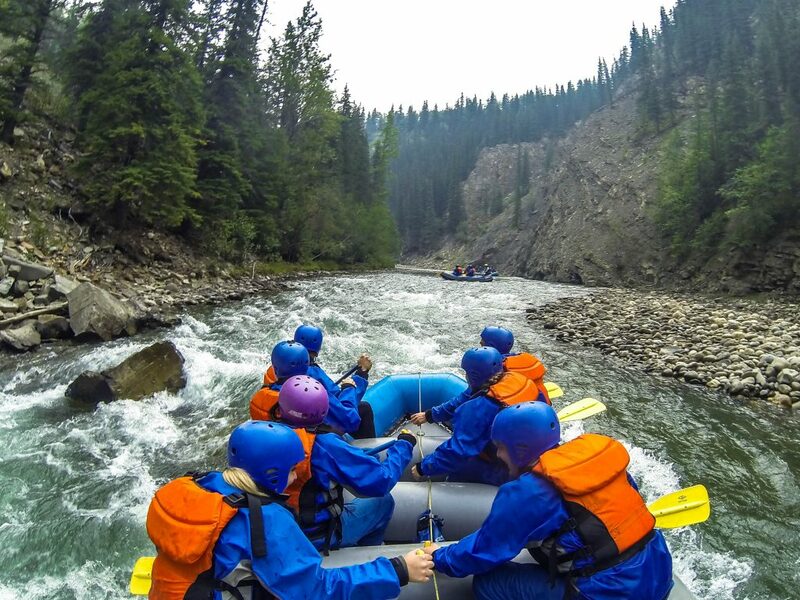 Those are just 10 of many potential activities for you to try when you visit Grande Cache. 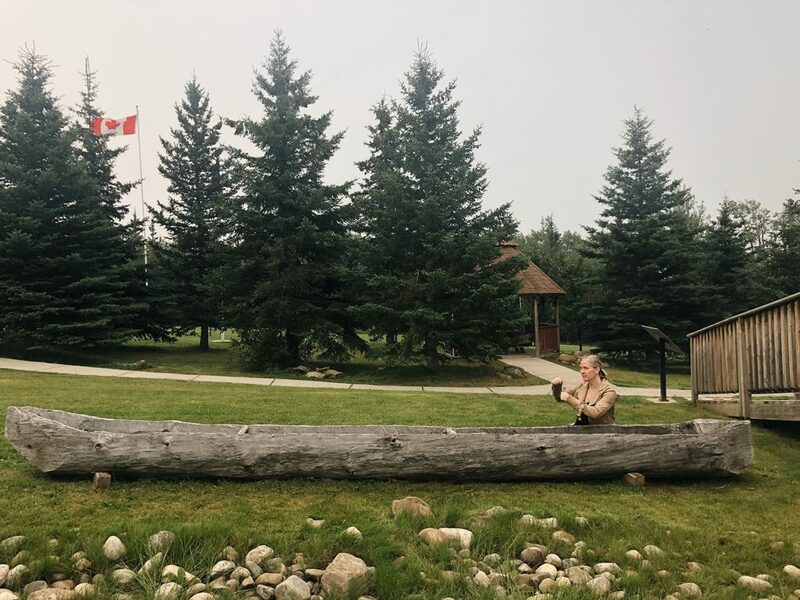 Grande Cache is your “road to adventure” and I’m so thrilled I got to work with Grande Cache Tourism to experience what the area has to offer, and share it with you. 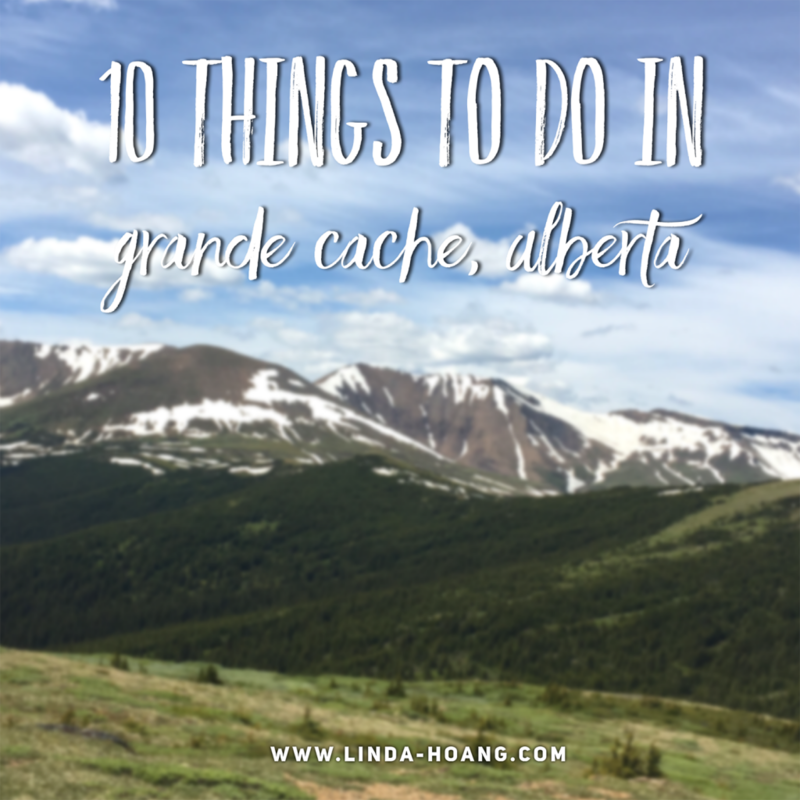 Pin + share my blog post: 10 Things To Do in Grande Cache, Alberta! But this blog doesn’t cover all of it. There’s lots more to see and do in the region beyond what I’ve suggested! In the Guide, you’ll find other recommended activities (and more detailed descriptions about the different mountain peaks, hiking trails, lakes, and other outdoor activities) to help plan your visit. For a basic price comparison as well, to the other, more popular mountain towns, Friday/Saturday night in Grande Cache costs about $80-$100 per night, compared to $200-$300 ish per night you might typically find in Banff, or $130-$200 ish per night you might typically find in Jasper. While Grande Cache doesn’t have a cute little tourist street like Banff or Jasper do (yet!!!!? ), that doesn’t mean the area doesn’t offer a ton of great tourism opportunities for its visitors. You’re surrounded by mountains. You’ve got a ton of outdoor activities to choose from. And for an area of its size, and one that hasn’t necessarily put a huge focus on tourism, it’s got some good and varied food offerings. The next time you’re planning a mountain getaway, think about Grande Cache! Disclaimer: I will always provide my 100% honest opinion on this blog. 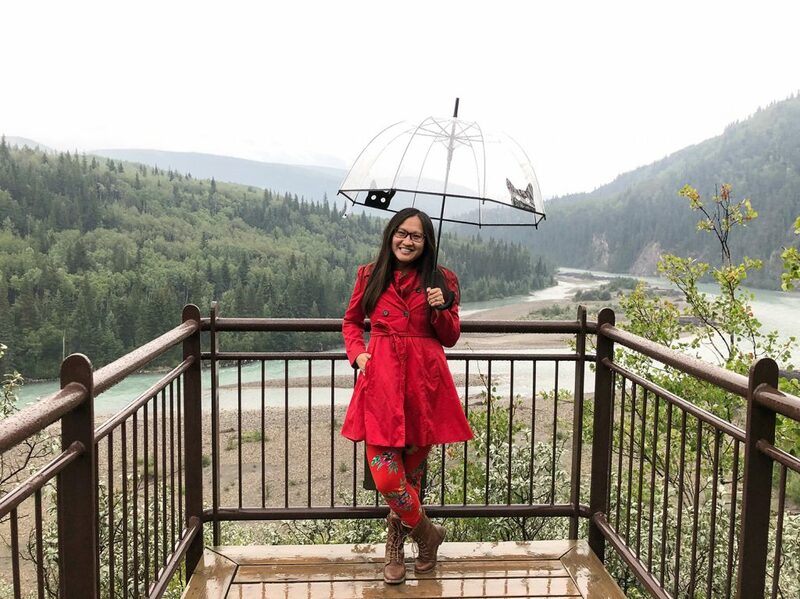 I was invited by Grande Cache Tourism to come up and explore what the area had to offer, and share my tourism experiences on my blog and social media. This was a paid, working tourism trip, with complimentary experiences. This has no impact on opinions stated in this post. I’m a huge fan of exploring different spots in Alberta and Grande Cache had a lot of great outdoor activities!